*SPONSORED: this is a compensated campaign in collaboration with Comcast and #WeAllGrow Latina Network but all opinions and comments are my own. I grew up in a household where weekends were all about Futbol and it became the background noise that I have come and grown to love today. Somehow, watching it in Spanish makes it that much more exciting and it brings back the nostalgia of my dad being completely invested in the game. A few weeks ago, I was given the opportunity to partner up with Comcast to hear about the latest features Xfinity has to offer it's customers. The event was held in a smart house in San Francisco. I was in complete awe to see all the innovative household tech items one can only dream of. This house contained a smart refrigerator, television, wall frames and so much more. 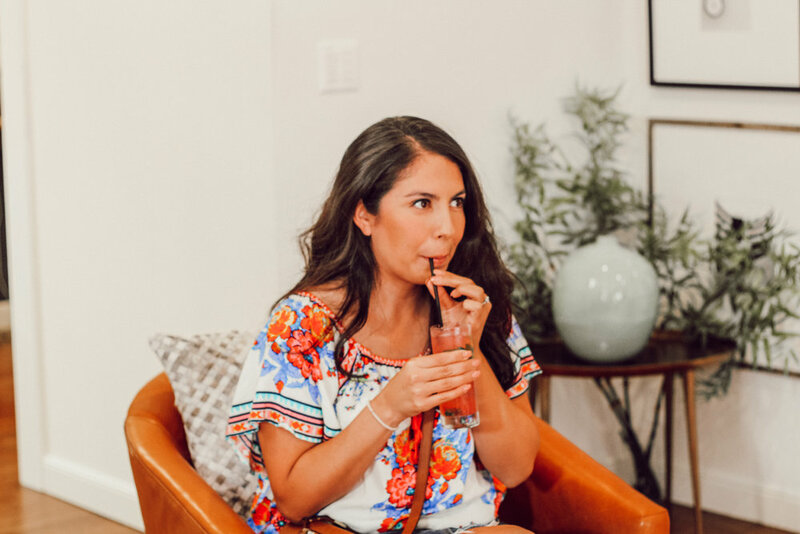 It hosted several of us local mom bloggers that are all about soccer and they did not hold back on pampering us for the day. We were greeted with an array of small bites and mojitos from Havana Catering and it was so delicious. To me, that treat alone would have been sufficient, but they didn't stop there. We were then given the options to have mini sessions for massages, hair and make up. I have to say, Comcast really rolled out the red carpet for the mommy bloggers. 1. Today, over 40 million people speak Spanish in the United States and Xfinity is able to cater to bi-cultural homes and these soccer championships are the perfect opportunity to showcase the new functions of a bilingual platform. 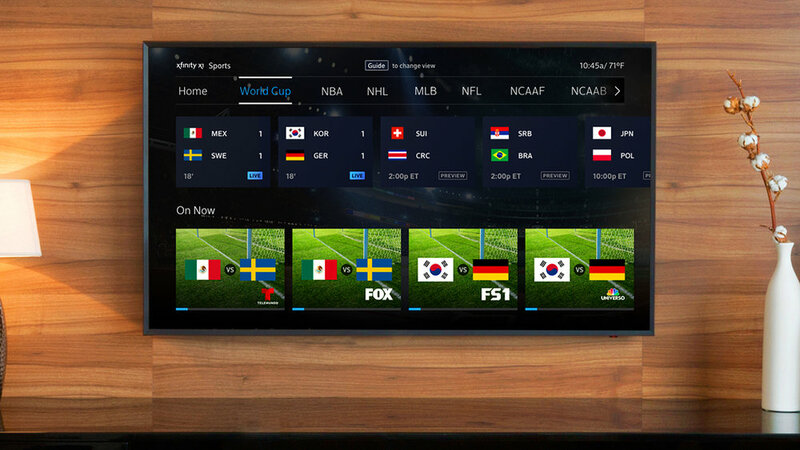 Xfinity recently announced that it has expanded the number of international channels that are available to Xfinity X1 customers by including over 60 Spanish channels. 2. X1 customers can decide when and how they want to be alerted about their favorite teams. Whether through X1 notifications on their TV screen that takes them straight to the match they want to see or via text message alerts that provide a direct link to the Xfinity Stream mobile app, customers always know when their game is about to kickoff. 3. Bilingual homes can now use the X1 voice activated remote and speak to it in English and Spanish to get the latest soccer real time scores and stats, and schedules. Also, a preview of upcoming games, get a summary or tune to games directly with their voice. 4. You can now view every big moment from the Soccer Championships with DVR Highlights. On completed match recordings, X1 customers who have DVR service can browse and jump between high impact plays. With many matches airing while people are away from their TV’s or at work, DVR Highlights ensure that X1 customers never miss a goal. How cool is that? With all these soccer games currently happening, I am thrilled that Comcast Xfinity is able to provide their customers with a higher quality viewing experience. I'd love to know what is your favorite soccer team, please share below. *This post was sponsored by Comcast. All comments and opinions are my own.